Are You Budgeting Enough to Properly Show Volunteer Appreciation? 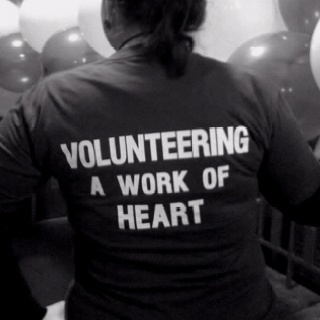 The heart and soul of a non-profit organization are the volunteers who support the mission and the cause. These individuals work from the good of their hearts, not expecting – just doing because they want to help others. If you run a non-profit, you know all too well how much you rely on your volunteers. While they don’t expect to receive any direct recognition, it is a nice idea to show them how much you appreciate all of their hard work and dedication. Hosting a volunteer appreciation event is a fantastic way to take your hat off to those giving, kind-hearted men and women. There are a number of ways you can show how thankful you are. For example, you could host a special banquet, plan a retreat, or even give out gift baskets. While all of these are great volunteer appreciation ideas, and are bound to be appreciated by your volunteers, they do require a monetary investment. Do you have enough money set aside for such an investment? How much do you need to set aside? How should you go about creating a budget? Lawyers to the Rescue was created by a group of humanitarian lawyers whose aim is to better the world by offering their legal services to the less fortunate. This not-for-profit organization was founded with the idea of bringing about change to those who have experienced hardships. Founded following the devastating earthquake that hit Haiti, this group prides itself on offering their legal services and humanitarian help to victims of natural disasters, famine, and disease.